The dumbfounded reporters eagerly awaited a response from Kapoor, who turned down the interaction citing time constraints. Katrina Kaif and Ranbir Kapoor became Bollywood’s celebrated couple when they began dating in 2011. Two years after briefly moving into a Bandra love nest, they parted ways in January 2016. Anurag Basu’s Jagga Jasoos, is their first outing after they called time on their relationship. Filming for Basu’s fantasy had already commenced before the split, and speculations were rife that their unwillingness to work together had eventually stalled the shoot. The duo refused to communicate with each other after resuming filming. 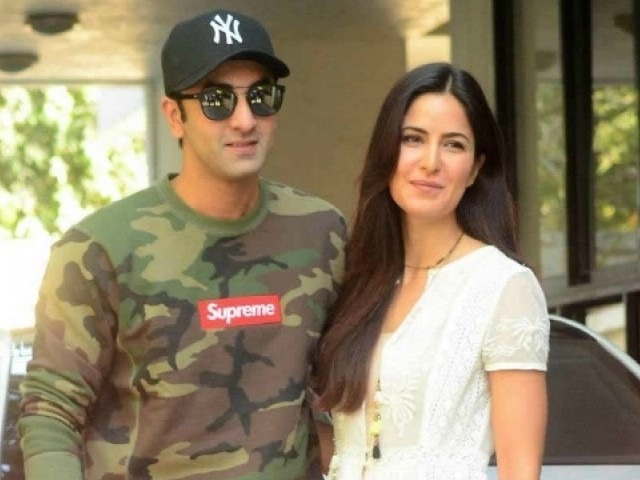 Katrina and Ranbir had previously collaborated on Rajkumar Santoshi’s romance drama Ajab Prem Ki Gazab Kahani (2009) and Prakash Jha’s political thriller, Raajneeti (2010). Previous articleSalman Khan – Shah Rukh Khan in Sanjay Leela Bhansali’s film? Next articleKangana Ranaut vows to expose ‘Bollywood gang’ that ignored Manikarnika.